Emily's Recipes and Reviews | UK Food Blog | Leicestershire : salted caramel apple puff pastries. Step one. Slice your puff pastry into even rectangles. 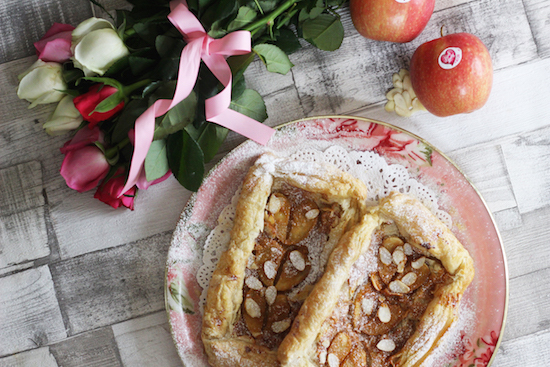 You could of course make one large pastry or even smaller ones than I did, just think about how your heart-shaped apples will fit into the size. Step two. Turn up the edges of the puff pastry to create an edge. Step three. 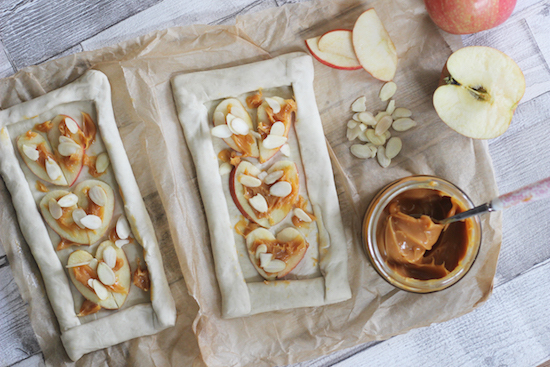 Add your apple slices to the pastry. Top tip: Use a round cutter to round off the edges of your apple hearts. Step four. Drizzle with salted caramel and almonds. Step five. Bake for 18-20 minutes until cooked, flaky and golden. 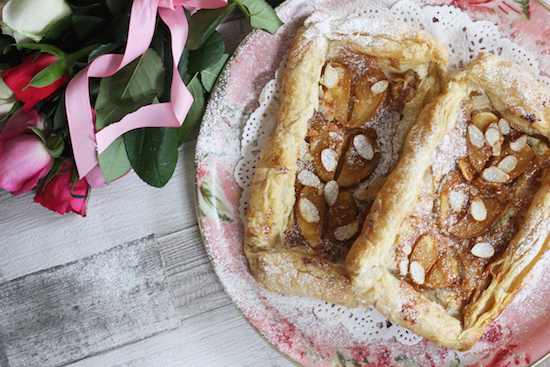 To finish, dust with icing sugar and serve on your prettiest plate! Scatter with extra sea salt if you particularly love the salty/sweet flavour clash. 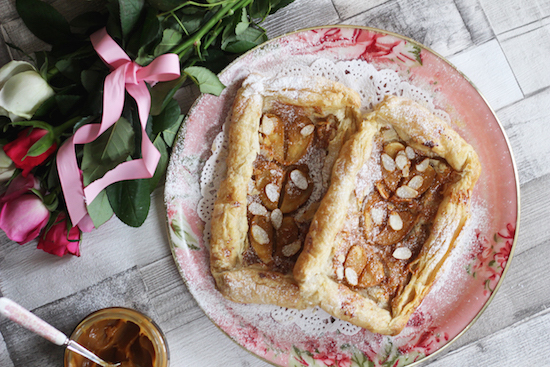 Have you got plans for a Valentine's dessert this year? What is your signature dessert when cooking for someone special? Looks delicious I do love a good pink lady apple one of the best. I own a cake shop so Valentines is one of my busiest times so this year I'll be finishing work, donning my PJs, ordering a massive take away and binging on Hannibal with my fiancée. Bliss! !